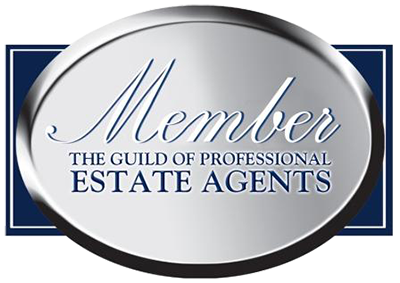 We specialise in all property in Acle and the surrounding areas, offering you a fantastic and honest service whether you are buying or selling a property. At the Property Shop, we pull out all the stops to find you a buyer or tenant, but our service never stops there. If you are selling you can be assured that we will keep track of your sale from start to finish, liaising with solicitors, surveyors and other estate agents to ensure a speedy conclusion. Our policy is to ensure that you are kept informed every step of the way. When you contact the property shop you experience a different kind of service. You, the customer, are the most important person whether you are buying, selling, letting or renting. Nothing is too much trouble. It is therefore no wonder that so many of our customers return every time they move home. The team at the Property Shop are all local to the broadland area, specialising in Acle and the surrounding broadland villages. This gives us a unique understanding of local properties, amenities, schools and other services, which makes us able to best inform potential buyers of the benefits of living in the area. We use every innovative way to improve our service to you. We combine traditional estate agency methods with the latest technology. So whilst we naturally provide accompanied viewings and ‘For Sale’ boards, our service includes extensive Internet advertising (including RightMove and OnTheMarket), e-mailing and local advertising. If you are letting, our team will be collecting your rent, regularly inspecting your property, handling routine maintenance and generally making sure that the rental goes as smoothly as possible. We always try to tailor our tenants to our landlords requirements, ensuring all parties are happy throughout the process. I was extremely pleased with the service the Property Shop gave me. My sale went through without any hitches and they were all very friendly and helpful. I wouldn't hesitate to recommend them. Due to the cooperation, assistance and kindness of the Property Shop we are amazed at the speed of our purchase - 16 days from viewing to getting the keys and moving in, which is quite extraordinary. If you want honesty and integrity with a personal touch, then The Property Shop are the Estate Agents for you! I'd really like to say thank you to you and your team for selling our house. Your work and persistence were very much appreciated. We received positive feedback from viewers, who told us that you were helpful and courteous. I admire your positive attitude and dedication to building your business, and I am sure it will payoff in the long run as your business develops further.” "All of your team have been nothing but patient and helpful (and I know that my haste to sell must have tested the patience of you all at times!). Your continued involvement in trying to secure exchange and completion demonstrates your commitment to the process of selling homes and securing the future of The Property Shop. Fee for non-payment of Rent will incur an extra £25 charge, in addition to the monthly rent. The Property Shop are members of the Property Ombudsman Scheme. The Property Shop have Client Money Protection with Money Shield. Fee for finding a tenant - 120% of one month's rent VAT included. Full management fee - 12% of monthly rent VAT included.